Don't miss the GIVEAWAY here!! As I mentioned in my last post, I had several Graphic 45 pieces left after making my card so I made another with scraps and more things from my bits and pieces jar I keep on my craft table. So pleased to use some of those miscellaneous beads, flowers, and twine from that jar!!! Yay!! Hey....and this is a no stamping card! With fabulous images...who misses it??? I got way out of my comfort zone and triiiiiiied to make this look vintage and distressed with rolled corners, and distressed edges, etc. (Even having the calendar piece off-center and disappearing over the side feels a little bit "edgy" to me!! Heh...) I don't really know what I am doing in this distressing department and so I am afraid it just kind of looks like my little granddaughter was playing with it! Ha. Maybe I should have added more layers and ripped up the edges more. (Or merely let my granddaughter play with it, after all!!) Anyway....I don't just love how the distressing part of this card turned out, but I ADORE the images and patterns. It's hard (for even me!) to go completely astray when using Graphic 45 things!!! :) Definitely gives me some techniques to keep working on. Yep. cat-themed projects ready by reading the 2016 CAT LOVERS HOP --- GUIDELINES and FAQ page. Have a great weekend!!! Well done for going outside your comfort zone. A great card for a May birthday. Thanks for sharing with us at Unstampabelles. Another beautiful card with Graphic 45! I can't believe you used scraps from the previous card because the look and feel is completely different. Hooray for you in making a stamp-less card and dipping into your Graphic 45 hoard! You've certainly succeeded in your quest for a vintage feel card. Congrats on using up some snippets too. Great snippets card Janis - I do love Graphic 45! Great vintage! The card looks fabulous - and not as if any child had played with it at all! 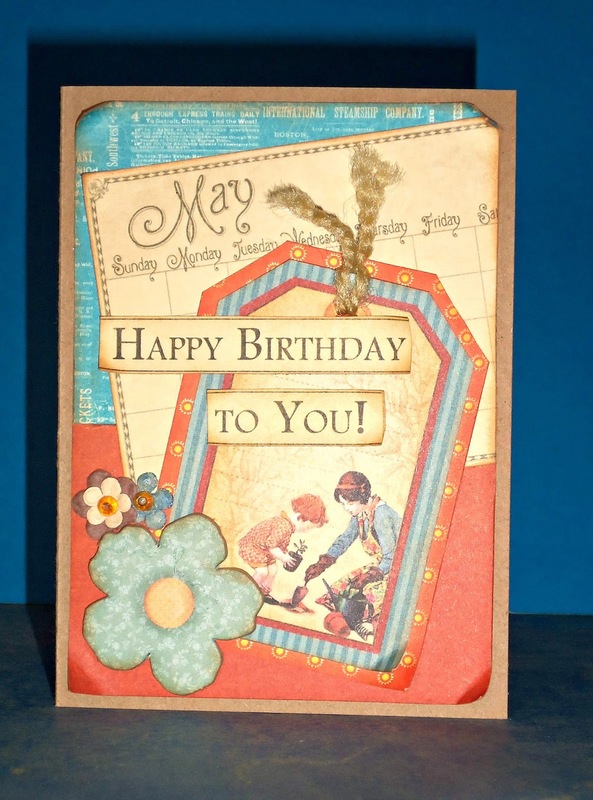 Yes, it is possible to make great cards and stuff without stamping - see, you did it! Thanks for entering your work at Unstampabelles. Bonus Post: Happy World Cat Day!!! 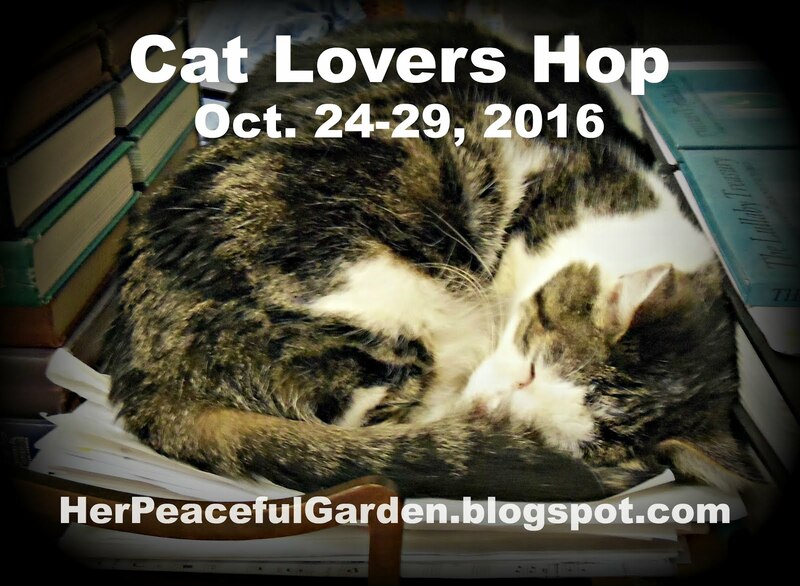 The 2016 CAT LOVERS HOP is HERE!!!! GIVEAWAY: Spread the Word - Cat Lovers Hop!!! Happy That You Are My Friend!! !